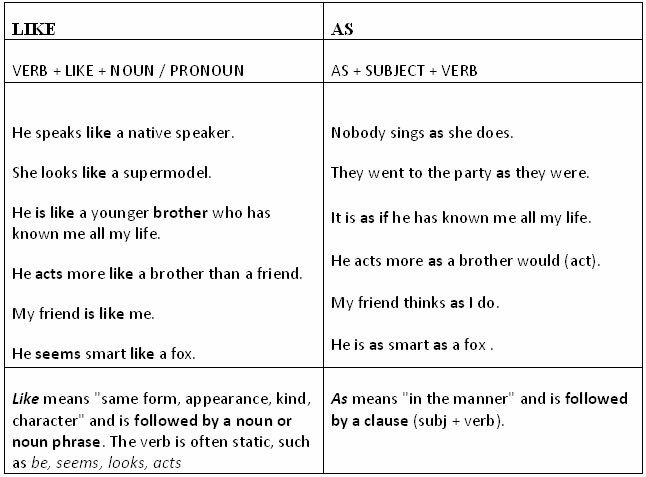 Like vs. As - The difference between Like and As when used to compare. 1. The verb after AS IF is always in the past subjunctive, no matter what tense the sentence is. 2. If the verb BE directly follows AS IF, we use were for all personal pronouns. It looks as if they’ve had a shock. She moved her lips as if to smile. The floods were rising and it was as if it was the end of the world.